Combining high performance and strong mobility, the HP Compaq nc6400 (£1115 inc. VAT) is yet another successful addition to HP's business range. Although it's quite heavy, it compensates with an excellent 270-minute battery life. Its sturdy chassis provides protection in transit, and the hard drive carries a motion sensor that detects knocks and prevents damage to the disk surface. Protecting data, a fingerprint reader is fitted below the keyboard. Easy to configure via HP's pre-installed software, the laptop can be set up to only allow access if your fingerprint is swiped. Connectivity is comprehensive and ideal for business use. Wireless hotpots can be configured using 802.11a/ b/g Wi-Fi. External peripherals can be connected using Bluetooth and infrared technology. For wireless internet access, an HSDPA module is fitted. Vodafone Mobile Connect software is used, and makes connecting a one-click process. Downloads run at around half the speed of the fastest home connections, but are ideal for internet and email use on the move. Using Intel's latest Core 2 Duo processor, performance is outstanding. As a pre-production unit, our review system was equipped with a more powerful processor and graphics card than the official retail model, so final performance will be slightly lower than that shown by our test results. The HP uses a dual user-interface. With both a touchpad and pointing stick, you can choose the control method that best suits you. Usability is excellent, and the use of rubber mouse buttons protects the 14.1- inch screen from scratches. Using a resolution of 1280 x 800 pixels, there's enough screen space to work simultaneously on multiple applications. With no glossy screen coating, colours are dull. However screen reflections are reduced, allowing high visibility even when working outside. For backing up data, an optical drive is in place, supporting dual-layer recordable DVDs. A media card reader is also fitted at the front of the chassis, allowing data to be shared with cameras, PDAs and smartphones. Packing a range of business features, the HP Compaq nc6400 adds power and usability to great effect. 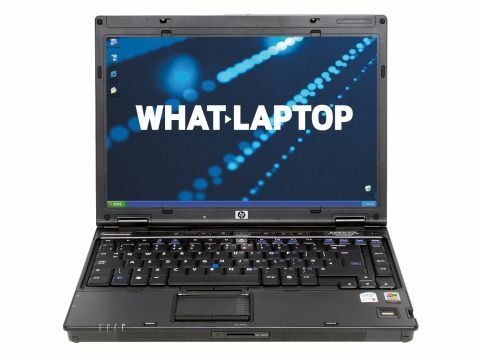 Other laptops can provide greater power or mobility, but the HP provides an impressive combination of all business needs and comes highly recommended.